I really enjoyed getting to know Pia this was s great story of friendship and loyalty. Pis had some very strange circumstances to deal with. What a challeenge she faces. Love the fools gold series. Easy read and keeps you interested all the way through. A amazing heartwarming story with some unexpected turns. I was hooked from the start. 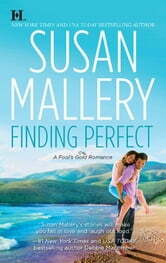 Susan Mallery is an amazing writer. Ok, I’ll admit it. Mallery had me crying crocodile tears with this one. This is definitely the most emotional novel in the series to date. She tackles so many touchy subjects from cancer to foster children to not-so-natural disasters in a manner that makes you realise that they really are part of everyday life. I really like how Mallery jogs our memory about past stories. When the characters from previous novels come up in a pertinent way she quickly gives the key points of their stories and then moves on, just enough to remind you who’s who in Fool’s Gold. I loved Pia more than I ever thought I would. I knew her before & well after this novel, but right now she's unforgettable & unstoppable. And she grows a backbone. She also becomes easier to understand as more of her background & personality comes to light. I was completely floored as to how Mallery pulled it all off. Raoul's droolworthyness is definitely helping the story out as well. Seeing him reckoncile who he is with what he believes was quite enlightening. 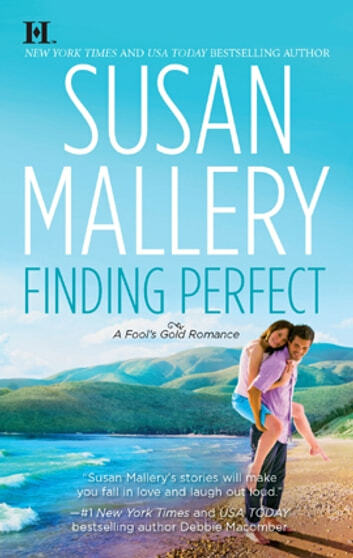 All the while, Mallery treats readers to a fantastic budding romance that makes you want to move to Fool’s Gold. I do feel like this is the most emotional novel in the series, to date anyways. I loved every aspect of it and wouldn’t hesitate for a second to recommend it to others, or to re-read it again & again.